Here are the final broadcast ratings for Friday, March 9, 2018. Finals Update: The first two parts of this headline do not stand true. 'Blue Bloods' (0.8, -0.2), 'Agents of SHIELD' (0.5, -0.1), 'Taken' (0.4, -0.1), and 'Confronting Putin' (0.4, -0.1) all adjusted down. After a rotten return, ABC's 'Once Upon a Time' (0.5) inched up from last week's low. 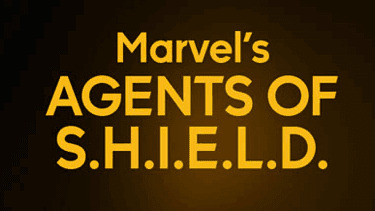 The upward trend continued throughout the night as 'Agents of SHIELD' (0.6) and '20/20' (0.6) each picked up a tenth. CBS also enjoyed some upward momentum as 'MacGyver' (0.9) inched up at 8 and 'Blue Bloods' (1.0) rose at 10. In the middle, 'Hawaii Five-0' (0.9) lost a tenth from last week. NBC's 'Blindspot' (0.6) ticked down at 8. Despite that, 'Taken' held steady at 0.5. The peacock network rounded out the night with a low-rated Megyn Kelly/Putin special (0.5). FOX's 'MasterChef Junior' (0.9) was steady with its premiere. It led into a repeat of hit drama '9-1-1' (0.5). The CW had the return of 'Dynasty' (0.2) on a new night. It held steady with its last Thursday episode. 'Jane the Virgin' (0.2) was also steady with its last episode.